There’s a nice variety of downloads and content on the PS Store this week, from an anticipated PS Vita JRPG, to a couple of Cross-Buy PS4 releases, and even a pair of PS one Classics. The latest in the Hyperdimension Neptunia series hits the PS3 along with Namco Bandai’s unique Saint Seiya: Brave Soldiers. PS Vita owners who are PS+ members can also score the addictive Soul Sacrifice for free. Read on for the full list of content. Join Neptune as she is thrust out of the peaceful Gamindustri she loves to be lazy in and finds herself in an alternate dimension—the Gamindustri of the 80′s! Fast-paced combat, several dozen dungeons to explore, and improved battle mechanics, oh my! Complete unique Challenges to boost stats, or call on Scouts to seek out new dungeons for you! Help Neptune get home in this over-the-top comedy RPG! Heaven’s Hitman is back… With a Vengeance! Demonic powers are manifesting, fighting over the fates of imprisoned souls caught in Purgatory. Once again, Daniel Garner, the Curse of Darkness and the Toy of Light, has to fight his way past hordes of demons. Can he stop the powerful creatures that stand in his way? The ultimate Saint Seiya fighting game! Battle your way through 3 famous Chapters (Sanctuary, Poseidon and Hades) with over 50 playable fighters. Discover the most complete Saints experience with character customization, new battle systems and 3 online modes to fight against players all over the world. Save Athena, Save the World! Set on Mars in an alternate Cold-War era, Super Motherload is a 1 to 4-player couch co-op digging adventure with branching storyline choices, a fully voiced cast of Soviet and American characters, and a procedurally-generated world that changes each time you play. 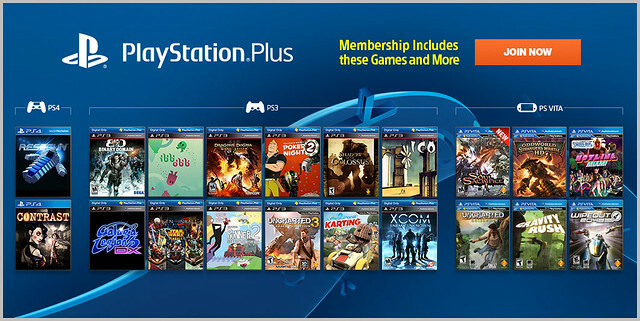 Purchasing this content entitles you to both the PS3 and PS4 versions! World-famous adventurer Adol Christin awakens in the land of Celceta, remembering only his own name. Eager to unravel the mystery of his past and the cause of his predicament, he sets off to map the uncharted wilderness that claimed his memories in this latest action RPG offering from Nihon Falcom. Join Adol as he traverses the largest overworld in the series with many new friends at his side! Metal Gear Solid is one of the most successful, and maybe one of the best, PlayStation games ever. These virtual reality missions expand on the training of the special forces unit your character in MGS came from. Hey, remember that quirky demo that came with your original PlayStation®, something about an alien escaping a factory? Did you never get the chance to finish that tough-as-nails game or its sequel? Now’s your chance to play Oddworld: Abe’s Oddysee and continue the story in Oddworld: Abe’s Exoddus. Run, jump and possess your way across seven levels of legendary platforming action in the first Oddworld game, freeing 99 of your fellow Mudokons. Then join Abe again in taking down SoulStorm Brewery across eight even bigger levels, and free another 300 Mudokons from a life of gruelling “employment”. Qello is the world’s leading on-demand streaming service for HD concert films and music documentaries with members in over 40 countries enjoying more than 100,000 hours of HD video every month. Qello’s library of concert films and documentaries span nearly a hundred years of music history. From Frank Sinatra to Jay-Z Qello is the ultimate source for the live music experience. With Qello music enthusiasts can relive the concerts they loved, see the shows they always wanted to experience, and discover artists they might never have seen.